FLIR Systems, Inc. has announced the industry’s first high-definition, handheld optical gas imaging (OGI) camera, the FLIR GF620. 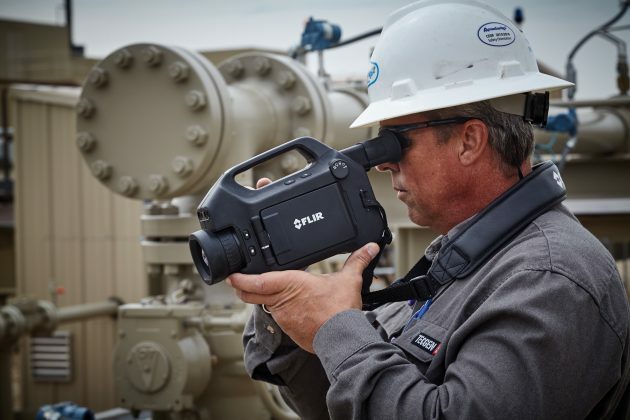 Designed for oil and gas industry professionals, the GF620 camera sets a new standard for detecting and visualizing invisible leaks of hydrocarbons, such as methane, and common volatile organic compounds (VOCs). With four times the pixels of previous models, the HD resolution GF620 helps inspectors survey for fugitive hydrocarbon emissions from further, safer distances than possible with lower-resolution OGI cameras.